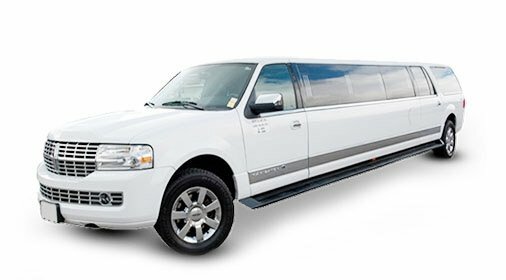 Lavish Limo is a professional fleet rental company whose motive is to offer world-class limo experience to its clients. For the last 5 years, we have been thoroughly active and offering our limo services in Toronto and the Greater Toronto area at the pocket-friendly prices. Being a critically acclaimed limo rental company, we strive to cater every need of our clients through luxurious limo services. From affluent limousines, fancy party buses to ornate passenger coaches, we are dedicated to rendering the comforts and earning the maximum satisfaction of the clients who we regard as our biggest priority. Whether it’s a prom night, wedding day, a group of fellas decides to hang out around the town, we have a solution for everyone and assure that every person gets gratified from our services. Moreover, we do a quality check on our fleet from time-to-time and consider every possible situation to offer you the most comfortable limo journey. Lavish Limos’ fleet is equipped with modern amenities and the latest technology including high-tech GPS, tracking, and navigational system to ensure the safety measures during the ride. Lavish’s chauffeurs are professionally trained and hold years of experience in driving and assures the safety of every passenger. From government and state officials, business executives, senior employees, teenagers, newlywed couples, and a number of private clients, we are liked by different individual groups and professional companies who rely on us for their limo rental needs. It’s the result of our hard work and clear vision because we know what our customers’ look or desire while renting a limo. It’s not like every day that a person can rent a limo. Hence, it’s our privilege to make their limo experience completely lavish and unforgettable. Since our incorporation, we have been growing as a company by bringing world-class services in the town at the most convenient prices. Moreover, Lavish Limo feels grateful to its magnificent personnel who is brilliant, ingenious and dedicated to learning new things to offer unparalleled limo services to every person who comes along to have a comfortable journey experience.